David Byrne graced the stage of Friday night’s Rock and Roll Hall of Fame ceremony in Brooklyn, inducting a band — Radiohead — that took its name from a song he wrote — “Radio Head” — for the Talking Heads’ 1986 companion album to the film “True Stories.” Watch the full speech right here. Hugely influential art-rockers Roxy Music reunited — sans Brian Eno and Paul Thompson — onstage at the Rock and Roll Hall of Fame induction ceremonies in Brooklyn on Friday night, treating fans to a six-song set in their first public performance since 2011. See it all right here. Robert Smith and nine other members of The Cure past and present were inducted into the Rock and Roll Hall of Fame by Nine Inch Nails’ Trent Reznor at a ceremony in Brooklyn tonight that also saw the band’s current lineup play a five-song set. See video of the speeches and performances right here. The Rock and Roll Hall of Fame’s Class of 2019 will include one of the titans of alternative rock: The Cure, the dark-pop juggernaut that just celebrated its 40th anniversary and next year will be inducted alongside Roxy Music, Janet Jackson, Radiohead and more. Full details on next year’s inductees right here. Seven years after the band’s first nomination, The Cure has once again been put up for induction into the Rock and Hall of Fame, along with Devo, Kraftwerk, Roxy Music, Janet Jackson, Radiohead, LL Cool J, Rage Against the Machine, Stevie Nicks, MC5 and more. Full details right here. The Rock and Roll Hall of Fame today announced its class of 2018, a list that includes third-time nominees The Cars alongside Bon Jovi, Dire Straits, The Moody Blues and Nina Simone. Additionally, Sister Rosetta Tharpe will receive the Award for Early Influence. Not making the cut this year? Kate Bush, Depeche Mode and Eurythmics. Kate Bush, Depeche Mode, Eurythmics and The Cars are among the acts scoring nominations to the Rock and Roll Hall of Fame this week, joining a roster of potential inductees that also includes Radiohead, MC5, Nina Simone, Bon Jovi and Rage Against the Machine. See the full list of nominations here. The prospects of The Smiths all gathering in the same room — forget about a live performance, just getting the four together behind a podium would have been a miracle — were dashed early Tuesday when the Rock and Roll Hall of Fame announced next year’s inductees, a list that did not include the first-time nominees. 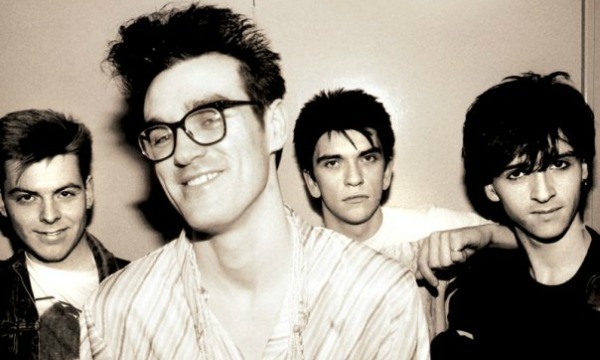 After six years of eligibility, The Smiths were nominated today for induction as part of the Rock and Roll Hall of Fame’s Class of 2015, joining a list of nominees that includes Green Day, Nine Inch Nails, the late Lou Reed, Kraftwerk, Sting and Joan Jett and the Blackhearts.